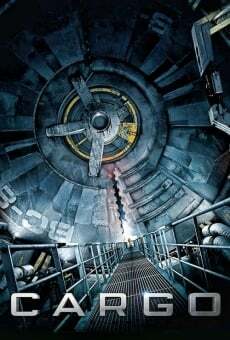 2009 ( CH ) · German · Thriller, Science fiction · G · 112 minutes of full movie HD video (uncut). You can watch Cargo, full movie on FULLTV - Since the biosphere on Earth collapsed, most people live in increasingly filled space stations. The only hope for escaping this chaos is RHER, a paradise planet discovered a 5 light years away. The story of the film happens in the old space ship Kassandra, on their way to the station 42. The young doctor Laura is the only awakens on board, the rest of the crew is discovered sleeping in hibernation. Laura will be four months and, during their daily patrols around the ship, the girl begins to believe that no one is discovered aboard. A mission of discovery in the dark, cold cargo hold ends in disaster. Now the entire crew has awakened, and a game of cat and mouse begins where nothing is what it seems What hidden strangers and cargo containers or who is discovered by them on board? You are able to watch Cargo online, download or rent it as well on video-on-demand services (Netflix Movie List, HBO Now Stream, Amazon Prime), pay-TV or movie theaters with original audio in German. This film has been premiered in theaters in 2009 (Movies 2009). The official release in theaters may differ from the year of production. Film directed by Ivan Engler and Ralph Etter. Produced by Karin G. Dietrich, Andreas Caplazi, Ivan Engler, Michael Egli, Meret Burger, Madeleine Hirsiger, Ralph Dietrich, Mohan Mani, Roger Kaufmann, Philippe van Doornick, Daniel Wolfisberg and Marcel Wolfisberg. Screenplay written by Thilo Röscheisen, Patrik Steinmann, Arnold Bucher, Ivan Engler and Johnny Hartmann. Soundtrack composed by Fredrik Strömberg. Commercially distributed this film: Seven Sept, Ascot Elite Home Entertainment, CCV, Atlantis Pictures, Ascot Elite Entertainment Group, MultiVisionnaire Media, Optimum Home Entertainment, Telepool, Mongrel Media and At Entertainment. Film produced and / or financed by Ascot Elite Entertainment Group, Schweizerische Radio- und Fernsehgesellschaft (SRG), Telepool, Egli Film, Teleclub AG, Atlantis Pictures and Centauri Media. As usual, the director filmed the scenes of this film in HD video (High Definition or 4K) with Dolby Digital audio. Without commercial breaks, the full movie Cargo has a duration of 112 minutes. Possibly, its official trailer stream is on the Internet. You can watch this full movie free with German or English subtitles on movie TV channels, renting the DVD or with VoD services (Video On Demand player, Hulu) and PPV (Pay Per View, Movie List on Netflix, Amazon Video). Full Movies / Online Movies / Cargo - To enjoy online movies you need a TV with Internet or LED / LCD TVs with DVD or BluRay Player. The full movies are not available for free streaming.